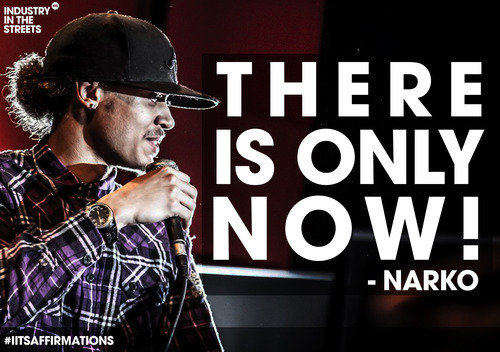 After his successful performance’s at #IITSTrueSKool & Music Potential’s showcase at The NIA in Birmingham, lyricist Narko is shining his light on bigger things this year. Having met Narko when the first round of Music Potential kicked off in 2012. 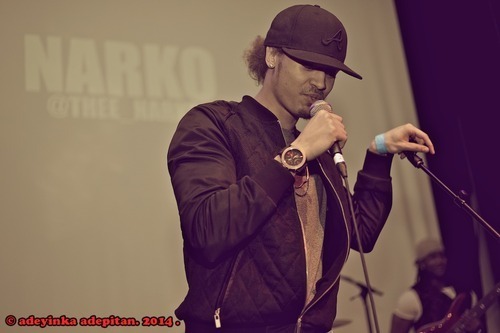 IITS has seen Narko grow creatively and is inspired by the drop of his fresh mixtape “Narkotics”. My words alone can’t do the the mixtape justice so just have a listen and let us know what you think. The IITS team caught up with Narko following the release of Narkotics for a quick #IITS6. We ask a series of 6 insightful and creative questions to dig a little deeper. Read on to see what Narko had to say. 1. If you could meet anyone in the world dead or alive who would it be and what would you say to them? If I could meet anyone? I could probably think about it for weeks and still not settle on a single person I most want to converse with. Initially I chose MLK to tell him how far we have come but I recently lost my grandmother and that changed everything. She was everything to my dad, so I wish to ask her for a final message to pass on to him. 2. What two celebrities would you pick to be your parents and why? Easy! Jamie Foxx and MC Lyte. Jamie foxx is simply outstanding. If anyone has ever pursued a career in entertainment they will know exactly how steep the hill is just to make a dent in any of the sectors. Mr Foxx is a virtual legend in music, film and comedy. That is remarkable! MC Lyte is basically the lead in female rap. She was the first female rapper to make a substantial impact despite the obvious obstacles. This to me signifies ultimate perseverance, I admire that. But although those two are great, I would keep my actual parents everyday of the week. Men of Honour, 100%. For anyone who hasn’t watched it, what’s wrong with you and go do that now for your own good! Briefly, Men of Honour depicts a young black man with a dream to be something in an era where he amounts to nothing. Literally! What this man overcomes is absolutely unbelievable. I wont pretend to have the same bravery as the man in the film, (true story by the way), but I forever wish I did and that maybe one day I will. But seriously, go watch it! 4. If you had to pick one superpower what would it be and why? Any superpower? I’m leaning towards telepathy. I like the idea of being invisible or being able to fly, but I’m picking telepathy just so I can hear what people really think and feel in an industry where a lot of roles are being played. I love music, but the business can be pretty snide sometimes. It would be great to have a shortcut to the truth. 5. What makes your music unique from others? Firstly I want to say everyone is naturally unique. I think the way people ACT is what makes them the same as one another, simply because people have the same idea of what role they want to play. To be yourself is to be unique if you ask me. I exude uniqueness simply by being myself. I hope my readers can agree. 6. Do you have a famous quote that inspires you or if not one of your own?